Over the course of the last year, Jemele Hill has become a jack of all trades at ESPN. Although she&apos;s held down a column on ESPN.com for the last six years or so, she&apos;s branched out and taken on a lot more work in recent times. 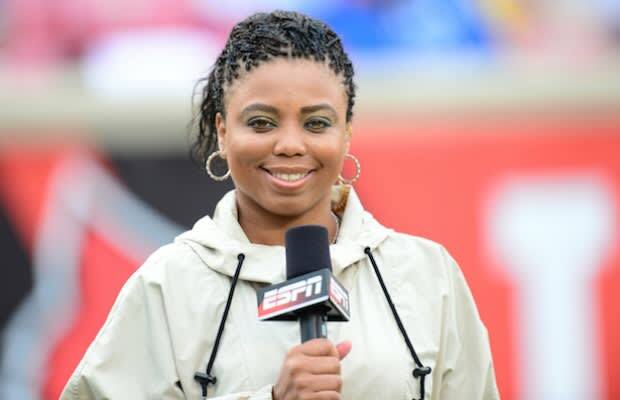 From manning the desk on ESPN First Take to working the sidelines as a college football sideline reporter, she&apos;s done a little bit of everything for the Worldwide Leader in Sports. And, apparently, not everyone likes it. We&apos;re sure it&apos;s not the only racist letter Hill has ever received (in fact, she mentioned that it&apos;s just one of the many that she receives on a regular basis) but, because she chose to share it with the world, it sounds like it&apos;s probably one of the worst. Now, can anyone answer the question we posed in the first sentence of this post? Anyone at all?